This is a server only mod that adds colored chat to your game. There are only bukkit plugins that do this. But i've worked on a way that does this with forge. /realname <nick> - See who is behind a nickname. /coords - Shout out your coördinates in chat. color <Group> <color> - Sets a color for the group. 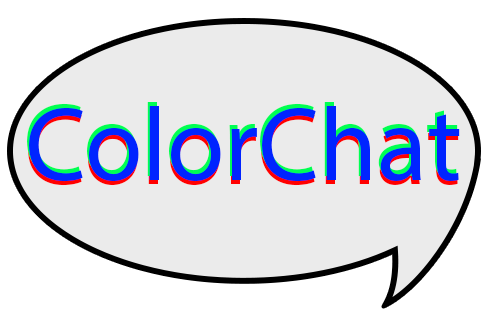 For ColorChat (and all my other mods) K4Lib is required! You're allowed to use this mod in any pack you want, as long as it's not behind a paywall. oddly enough despite this being a server sided mod I find that I have to install it client side otherwise it'll crash the game. That is interesting. Would you please create an issue on my github with the stacktrace? Hey, guys, I have one problem, I want to install this but I don't know how, well I know how but I don't know how to install it for the current platform Window's 10 edition please comment back to me as soon as possible because I need to learn how to download these plugins so, I can use them for Window's 10. My server is set to offline. Everytime a player rejoins the colour changes. Is there a possability to change this? if it were installed on the client, does it auto-disable or does it even care? It won't do anything on the client. Are there any plans to update this to 1.12.1? is it server sided? or should i install it on client too? It's server side only. No client installs required. uhm, but i must install k4lib to client, right? if i don't, client can't join the server? Only on the server. k4lib is in the same special way you don't need it on the client when you have a server only mod. Please report all bugs over at the github page!